High level meetings in Washington between senior U.S. and Turkish officials concluded Wednesday without an apparent resolution to the case of a detained American pastor. 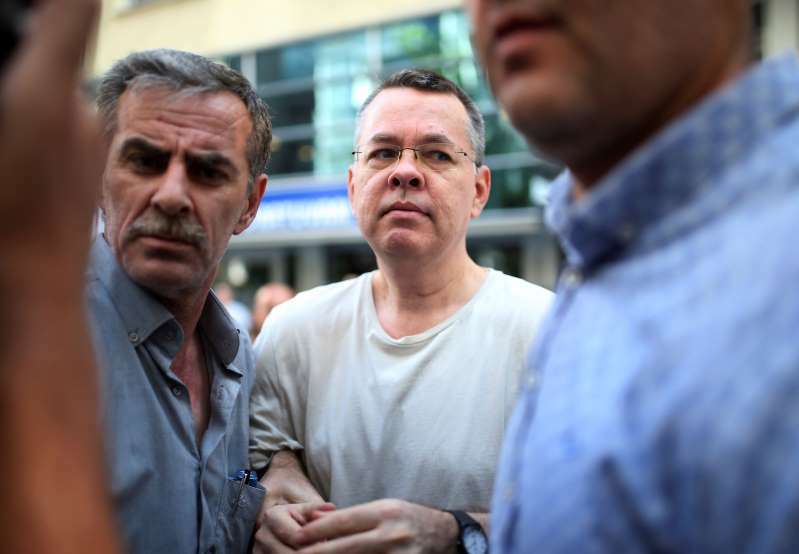 The State Department said Deputy Secretary of State John Sullivan and Turkish Deputy Foreign Minister Sedat Onal met in a bid to ease the crisis in relations caused by Turkey's continued detention of evangelical pastor Andrew Brunson. Brunson's detention led the Trump administration last week to slap punitive sanctions on two Turkish Cabinet ministers and to warn of additional measures if the case is not soon resolved. [post_ads]Wednesday's meeting addressed Brunson and the sanctions, aiming to end the sharp rift between the NATO allies. Afterward, State Department spokeswoman Heather Nauert said, "the conversations continue." She did not elaborate. Brunson is on trial on espionage and terror-related charges related to a failed 2016 coup attempt, which he and the U.S. government adamantly deny. The administration has repeatedly demanded Brunson's release. Turkish President Recep Tayyip Erdogan has previously linked Brunson's return to the U.S. to the extradition of the cleric Turkey's government holds responsible for the failed 2016 coup. The cleric, who denies orchestrating the coup attempt, lives in Pennsylvania.